Sonoran Desert of southeastern California, Arizona and New Mexico to western Texas and northern Mexico. Dry, gravely desert slopes, often under bushes below 4,500 feet. Bright flowers, 1 inch wide and composed of many petals, bloom April and May. 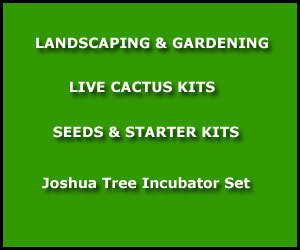 A low, cylindrical cactus with one or many thick-clustered stems grows to 6 inches high. 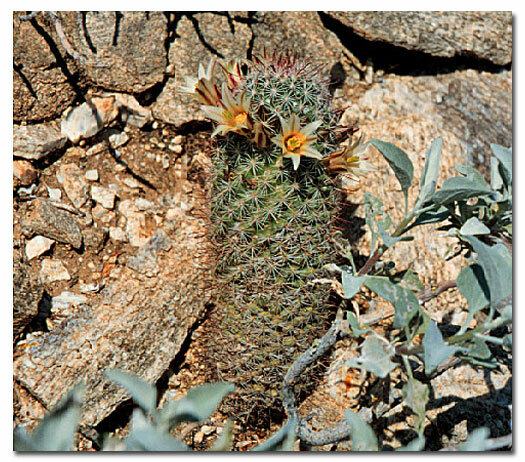 Many hooked spines, 1/2-inch long at the tips of the cactus, are surrounded by numerous, straight, tan-to-pink ones. 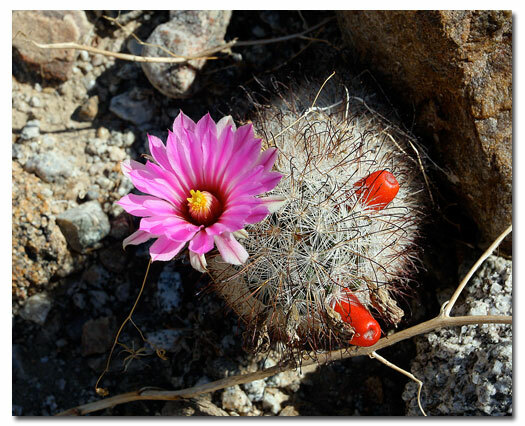 The Fishhook Cactus has extended, smooth, red fruit 1/2 to 1 inches long. Not to be confused with the Fishhook Barrel Cactus (Ferocactus wislizenii) of the Chihuahuan Desert.